It is generally accepted that the chorus is the part of a song that is meant to get stuck in people’s heads. It’s the section that is really supposed to sell a song and sustain the listener’s interest—usually with a strong dynamic flow in the verse that transports the listener to an emotional lift in the chorus. 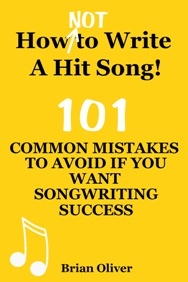 The normal means of achieving this is by making sure the chorus has a memorable melodic hook that stands out from the verse and a lyric (with a repetitive title line) that hammers home the message of the song. But can a conventional chorus be replaced by a riff? Yes it can, according to Royal Blood, the hotly-tipped two-piece from Brighton, England who are set on “rewriting the rules of rock” by playing an unusual combination of bass and drums. The answer, according to Savage, is a resounding “Yes”—with Royal Blood already being hailed as the “saviours of rock and roll” by several music magazines.